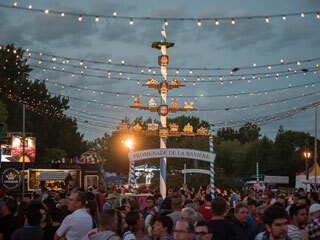 The Lanaudière region, located north of Montréal, extends from the St. Lawrence River to the peaks of the Laurentian Massif, crossing gentle plains strewn with villages and fields. Affectionately nicknamed the “Green Region” in the summer, the region provides just as many outdoor attractions in the wintertime. Lanaudière is particularly renowned for its infamous network of snowmobiling trails that are well designed and maintained, but may also be explored on foot, by snowshoe, bicycle, canoe or on horseback. Many lakes, rivers and falls, as well as access to Parc national du Mont-Tremblant with its beautiful discoveries and walks, are here for you to enjoy. Experience true time-travel with the region’s many historical sites. And for art lovers and curious alike, the region’s largest art museum may be visited in Joliette. 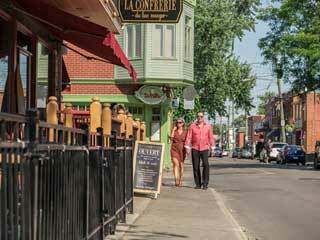 Finally, to get a true feel of Lanaudière, nothing beats a trip through the region’s villages where you can revel in hospitality and discover the regional terroir products.